CARMAX AUTOCARE Body Shop is a state-of-the-art facility offering premium collision repair for your vehicle. We are one of the best equipped body shops in the country, and we feel we can give you a repair experience unmatchable by our competition with regards to accuracy, speed, quality and value. At the CARMAX AUTOCARE Body Shop, your satisfaction with our collision repairs is our prime concern. Our Body Shop can handle any collision repair, from a small bumper scuff to heavy collision work. Glass work and mechanical work associated with a collision are also part of the services we offer and all our work is guaranteed. Not sure what a repair would cost, or simply have a question? Feel free to call or stop by our workshop and we will answer any questions that you may have regarding your collision repairs. Worried about those small dents and unsightly scratches ruining your paint job? No need to worry, as part of your vehicle’s make over, our body repair technicians have mastered the method of eliminating those blemishes down to a streamlined process to ensure that your finish is free from those small dents and unsightly scratches. Our range of services extends from passenger vehicles (including luxury and elite cars) to SUVs and Buses.The CARMAX BODY SHOP is equipped to carry out a full range of repairs, ranging from dent removal to restoration work resulting from a major impact. Our collision repair department uses the most advanced high-tech equipment. This ensures that any maintenance and repairs we do is done to perfection and complies with the directives and technologies used by auto manufacturers. Our auto body painting teams are fully qualified to handle any car paint job job, big or small. If your vehicle needs paint repair and respraying on several major parts, or just touch-ups such as paint chip repair, you can leave it to CARMAX AUTOCARE with complete peace of mind. Our high-tech equipment and superior materials ensures the paint is always perfectly applied and the colors perfectly matched. What’s the importance of surface repair? You know those chips, scratches, cracks and excessive peeling on your vehicle? If left untreated and exposed to the elements over time, these conditions could ultimately ruin your paint job. Repairing such issues will help your vehicle receive the smoothest finish and highest possible gloss. At CARMAX our service advisors examine your vehicle and suggest repairs or/and part replacement. We offer affordable prep options that ensure your spray Job looks great. A little surface repair before the paint goes on can ensure it holds that gloss and shine for years. Have you ever noticed how some paint jobs fail to hold their shine? It could be a matter of that old paint mixing with the new, creating uneven color and gloss. Sealer plays that all-important role of establishing a barrier between the old and new paint. This ensures consistent color and a higher gloss throughout the entire painted surface. At CARMAX we use the best sealers in the market to ensure the perfect finish. The right choice is all about durability, and ultimately the amount of prep work needed for your particular vehicle. When it comes to the durability of your vehicle’s paint, sealer helps keep consistent shine long after the job is done. At CARMAX, we offer a paint package that surpasses all, because we use the best name in auto paint – Sikkens. What makes a paint job unique comes down to two factors: Longevity of the paint, which includes warranty/durability, and the appearance of the paint, which includes gloss, color match, and metallic appearance. When it comes to the best look and performance, there is no topping our two- coat Premium service. Complete with a 1-year warranty, this service offers the highest level of durability, best possible glossy finish and superb color match that you will want to show off for years. A great paint job deserves great protection. We often apply clear coats to our paint jobs to not only protect the paint, but to ensure an accurate gloss match and an overall seamless repair. In addition, we finish off with a platinum wax service , which brings out the best shine of your vehicle. CARMAX is known for putting the shine back in your ride, but did you know we also do headlights? Ask your service advisor about our headlight restoration service and we will help brighten up your night ride. An impact can cause damage to the windshield and windows, so Fix Auto also has the expertise required to install all glass parts. And you can count on impeccable results, as with all our work. 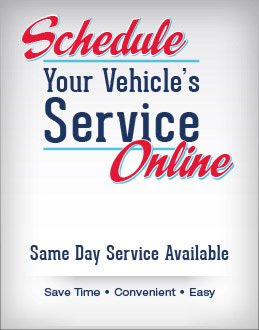 To help you better manage your time, CARMAX will offer a valet service to include pick-up and delivery of your vehicle. Please inquire. Our towing service is always standing by, ready to get you and your vehicle off the road and where you need to be. Easy, affordable and reliable, CARMAX AUTOCARE offers tremendous value to customers at a reasonable price.